Members of the Press: Please email press@abainternational.org for press information about this conference. Register via fax, email, or postal mail: print or download the registration form. The conference hotel is five minutes’ walk to Mary Brickell Village, with more than 20 dining options. A short taxi ride away is the Wynwood Arts District, home to more than 100 galleries and featuring open-air installations of contemporary urban murals. The South Beach neighborhood is just a 10-minute taxi ride away, with beautiful beaches, as well as restaurants, shopping, and entertainment. The Art Deco District, on the National Register of Historic Places, includes more than 800 architecturally significant buildings from the 1930s and 1940s, the largest concentration of Art Deco architecture in the world. The program will include the most advanced developments in the science and practice of autism treatment. Workshops are February 4 and invited presentations are February 5–6. Exhibits and job placement opportunities will also be available. The conference will be at the Hyatt Regency Miami. We have a special room rate of $175 a night for conference registrants only. See you in Miami in 2018! CentralReach is an all-in-one practice management software package. We offer HIPAA compliant messaging, unlimited document storage, data collection, integrated payor billing, and scheduling in a single, simple design. If you haven’t seen a demonstration, come to our booth and see what your colleagues and peers are using. We are moving applied behavior analysis forward in simplicity and innovation. The Center for Autism and Related Disorders (CARD) is among the world's largest and most experienced organizations effectively treating children with autism and related disorders. With U.S. and international reach, CARD touches the lives of hundreds of children and their families. Through a network of trained therapists, supervisors, and researchers we develop and implement quality, comprehensive, and personalized treatment programs that lead to success. For close to 30 years, Autism Learning Partners (ALP) has served as a national leader in the field of developmental disabilities, serving as a full service provider specializing in the treatment of autism and other developmental disabilities. Services are provided in California, Colorado, New Mexico, New York, North Carolina, Massachusetts, and Texas. ALP serves more than 2,800 clients yearly. Amvik Solutions specializes in streamlining operations for ABA service providers. Amvik's experienced team can assist providers with insurance credentialing/enrolment, insurance billing ad practice management. WebABA, our practice management software, allows providers to easily manage client authorizations, scheduling, billing, payroll, HR, timesheet submission, customizable reports, and so much more! Stop by our booth to consult with an experienced team member. The Autism Curriculum Encyclopedia® (ACE) is the premier, applied behavior analysis educational software system for learners with autism. 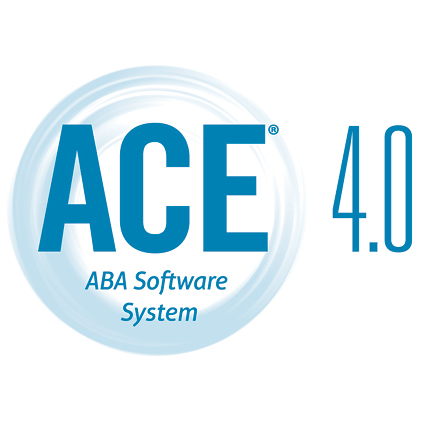 The ACE® includes a challenging behavior module, multiple assessments, data entry, and automated graphing features as well as more than 1,900 customizable programs. This all in one solution for autism education also includes a direct data entry app for your iOS devices. Designed by the world-renowned New England Center for Children® the ACE utilizes the principles of applied behavior analysis to help you ensure maximum progress. Behavior Care Specialists offers a number of services including consultation, diagnostics, training, intensive ABA therapy, alternative school placements, and short-term residential services. 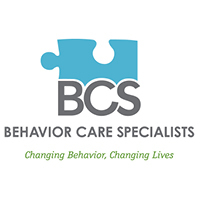 In addition, BCS provides onsite supervision and training for those interested in pursuing additional certification offered through the Behavior Analyst Certification Board. BCS serves children in South Dakota, Iowa, Minnesota, and Wyoming. If your child has autism spectrum disorders, behavioral issues, or developmental delays that are keeping them from reaching their full potential, The Behavior Exchange can help. Our early-start therapy and education programs are based on intensive intervention techniques of applied behavior analysis. Treatment is personalized for every child's needs and can include one-on-one sessions, group therapy, and/or real-life training situations. Behavior Match is a social networking website and app designed to match those in the behavior analysis community with professionals and consumers of services in an ethical and data-driven manner. Our data-based matching system allows for matching of consumers with companies and practitioners, practitioners with organizations, supervisors with supervisees, CEU trainings with attendees, conference presentation partners, students with graduate programs, and much more! Behavioral Innovations is a superior provider of applied behavior analysis services to families of children with autism and other developmental disorders throughout Texas. Established in March of 2000, Behavioral Innovations has become one of the largest private employers of board certified behavior analysts in the state of Texas. The Behavioral Intervention Certification Council (BICC) administers certification exams to promote standards of professional excellence and consumer safety in autism treatment. BICC’s board certified autism technician (BCAT) is the only NCCA-accredited, autism-specific, paraprofessional credential. BICC strives to make the BCAT the provider’s certification of choice, offering streamlined registration with paperless eligibility documents and an employer Credentialing Manager Portal to download BCAT certificates and purchase exam fee coupon codes. 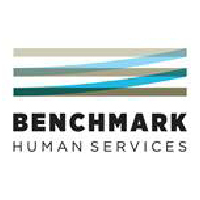 Headquartered in Fort Wayne, Indiana, Benchmark serves individuals throughout the life cycle, from infancy to elder years. Programs support people at work, at home, and in the community through residential, employment, social, therapeutic, crisis response, and day services. We specialize in serving people with intense medical needs and high behaviors, including those with forensic backgrounds. Benchmark extends this expertise as a consultant for state governments and private organizations in evaluating facilities, systems development, staff training, and numerous other areas. The 3,400+ Benchmark employees serve more than 10,000 children and adults with disabilities and/or mental illness throughout the United States. Boys Town Press is the publishing division of Boys Town—a mission-driven organization that knows how to work with the highest needs children. Stop by the Author Signing and meet the authors of our Lou Knows What to Do book series. Out titles include Supermarket, Special Diet, and Birthday Party. All are great reads for children who have anxiety, sensory processing disorders, or are nontraditional learners. Since 2005, Butterfly Effects has exemplified a singular focus—to provide access to quality ABA therapy to those living with autism. Our team of BCBAs and behavior technicians collaborate with the client’s circle of support to achieve measurable outcomes in the home, school, and community environment. 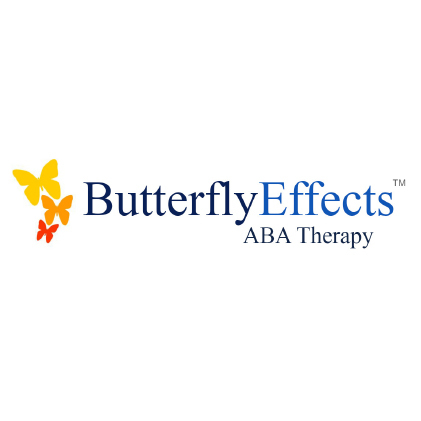 In addition, Butterfly Effects operates a state-of-the-art, free-standing AVA therapy center in New Orleans, LA. 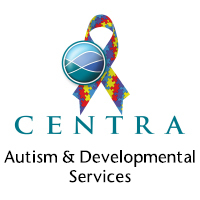 Centra Autism & Developmental Services provides ABA services to children and adolescents with autism across the state of Virginia. Our program is focused on providing the highest quality ABA services to individuals with autism in the home, school, and clinic setting. We operate 10 private day schools, 6 in-home programs, and 1 multidisciplinary clinic in Virginia. Centria Healthcare is a leading provider of home-based catastrophic injury and rehabilitation care, private duty nursing, supportive living services, and is the largest provider of applied behavior analysis therapy for children with autism across the state of Michigan. ClinicSource provides a fully-integrated online EMR and practice management system for therapy practices of any size. Thousands of therapists nationwide benefit from the easy-to-use web-based software, which empowers providers to streamline all of their scheduling, documentation, and billing. CodeMetro offers practice management software insurance billing, consulting services, and administrative products and services dedicated to special needs providers. Every day, clinicians and their staff rely on CodeMetro and its services to increase efficiency and profitability and reduce overhead cost. For over a decade, CodeMetro has been advancing the therapy industry, serving as a purveyor of business necessities that foster growth and therapy quality. Here at Continuum Behavioral Health we provide services in the home, school, clinic, and community settings. We work with a variety of individuals with learning differences and behavior related disorders. Services we provide include behavior reduction, parent and staffing training, IEP development, contractual services to public and private schools, applied behavior analysis program evaluations, consulting, and development and instruction with an emphasis on verbal behavior. Devereux Advanced Behavioral Health, a leading national nonprofit provider of behavioral healthcare, combines evidence-based interventions with compassionate family engagement to change lives. We serve many of the most vulnerable members of society in areas of autism, intellectual and developmental disabilities, specialty mental health, and child welfare. We offer opportunities for BCBA and other professionals to work with individuals of all ages in residential and community-based settings. 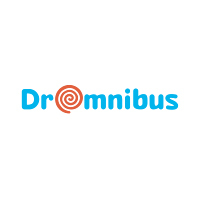 DrOmnibus is a company that creates effective BCBA tools and attractive solutions for ASD children based on the latest research. 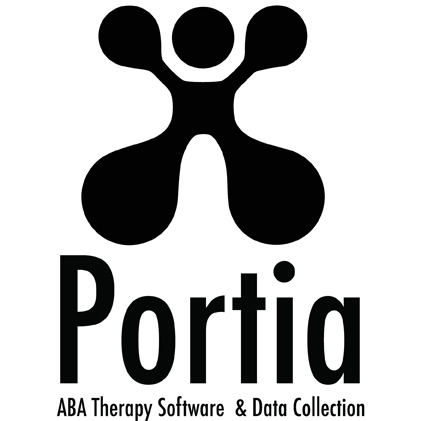 We have created a BCBA tool for autism therapy with the ABA DrOmnibus Pro and ABA DrOmnibus Home apps. We are a team of experts with long-standing experience in education, therapy, and new technologies. Since 1998, Early Autism Project has been providing families and school districts throughout the United States with effective methods of treatment for children of all ages with autism and other developmental disabilities. Based in over 30 locations nationwide, our evidence-based treatment and instructional recommendations are guided by the principles of applied behavior analysis, along with the principles of Skinner’s analysis of verbal behavior. 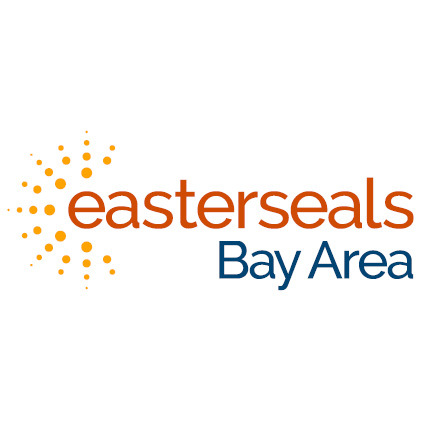 Easter Seals Bay Area leads the way in ensuring children and families affected by disabilities can live, learn, work, and play to their full potential. Our mission is to expand the organization’s impact throughout Northern California in the lives of children with disabilities and their families. For nearly 100 years, Easterseals has been the indispensable resource for individuals and families facing disability by providing services that make positive differences in people’s lives every day. 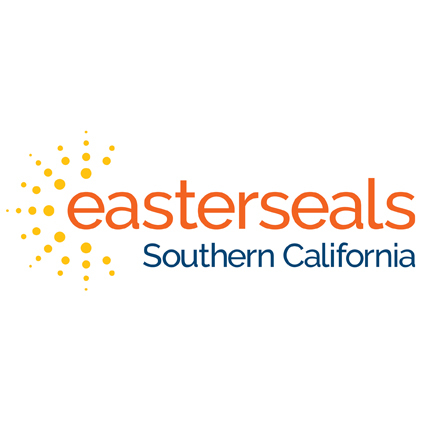 Easterseals Southern California provides a variety of services that are designed to help people live, learn, work, and play in their communities. Join us as at www.easterseals.com/southerncal/ as we work to change the way the world defines and views disabilities so that everyone can achieve their personal goals. Florida Autism Center builds a culture of clinical excellence that allows children, their families, and our team members to reach their personal potential. Do you want to assist in helping people learn new behaviors? Become a part of the solution in improving people’s lives by becoming a behavior analyst. The Department of Continuing Education at Florida Tech can provide you with the necessary training conveniently and economically. We provide high quality online coursework for certification, as well as the continuing education courses needed to maintain that certification. At Gateway Learning Group we cultivate learning, language, behavior, and social skills for individuals with autism and other special needs. Using the principles of applied behavior analysis, we design and implement an individualized program for each client based on his or her needs and interests. The Global Autism Project is a 501(c)(3) nonprofit organization based in Brooklyn, NY that works to build local capacity to provide evidence-based services to individuals with autism in under-served communities worldwide. Through this systemic, sustainable training model, the Global Autism Project embraces the talent and resources of the communities served while cultivating leaders in the field of applied behavior analysis. Autism knows no borders; fortunately, neither do we. Huntington Insurance, Inc. has partnered with ABAI to offer member pricing on professional liability insurance. This protection is needed by all professionals to guard individuals and companies from attorneys’ errors, omissions, and lawsuits, and is separate from a standard general liability policy. An insurance policy is just the beginning; Huntington Insurance, Inc. agents take it a step further, passing along our knowledge of employee benefits and risk management to help you identify ways to lower risk. ABAI members receive a special discount. Stop by our booth for more information. The Institute for Behavioral Training (IBT) is a one-stop training hub for people who interact with, teach, care for, and treat individuals with autism spectrum disorders. IBT was developed by a professional team of BCBAs—all with over 20 years of experience in the field. This dynamic team has worked together to create and implement diverse training programs. Our innovative course offerings meet the current and emerging needs of the community, parents, caregivers, and human service professionals across the globe. Autism Home Support Services is now part of Invo Healthcare! We are a leading provider of ethical, evidence-based behavior and therapy services. Our community of BCBAs, BCBA-Ds, and RBTs create measurable differences in children's overall development and long-term success. Our outcomes-focused, multi-disciplinary approach includes skill development, behavior shaping, and school consulting in home, center, community and school settings. Come grow with us! Irabina Autism Services specializes in delivering programs for children and adolescents diagnosed with an autism spectrum disorder and their families. We are the largest autism-specific service provider in Australia and have been providing services for almost 50 years. We work alongside families to provide autism education and skills to assist the children and parents on their journey. We provide both school and center-based behavior consulting and ABA services for children with autism and other developmental delays. Our curriculum is uniquely structured by Morningside programs which is competency-based and takes an applied science approach. Our clinical services are grounded in B. F. Skinner’s analysis of verbal behavior while making data-driven decisions with children’s families for effective progress. 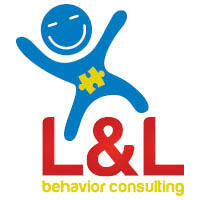 At L&L Behavior Consulting we offer ABA therapy for children with ASD and other related diagnoses, plus contracting and training opportunities for service providers. Our staff has more than 10 years of experience in the field of behavior analysis. Come join our team to enrich the lives of children and gain access to high quality job opportunities and competitive rates. Linke Resources is a specialty professional search and consulting firm focused on supporting organizations that provide services to individuals with behavioral health care needs, intellectual disabilities, autism, and other developmental disabilities. We conduct extensive local, regional and national talent searches for difficult-to-fill positions. Using our expertise in behavioral health, we fully vet candidates and find the right talent to meet your organization’s needs. Little Leaves is dedicated to helping people with social, communication, and behavioral challenges grow and succeed so that they can participate as fully as possible in their families and communities. Little Leaves provides ABA therapy to young children with ASD in the DC, Baltimore, and Northern Virginia areas in home and community settings, as well as in our new Little Buds center based program. May Institute is a nonprofit organization providing educational, rehabilitative, and behavioral healthcare services to individuals with autism spectrum disorders and other developmental and intellectual disabilities, brain injury, and behavioral health needs. McNeese State University's Master of Arts in Psychology Program with a concentration in applied behavior analysis is approved by the BACB and accredited by ABAI. The program is offered in online or on-campus formats. A Graduate Certificate Program is also available for individuals interested in adding the BCBA credential to their existing master's degree. For the past 28 years, Medical Billing Management has been serving the billing needs of providers throughout the US. Our team creates billing success and increased cash flow for ABA agencies through the coordination of enhanced authorization and eligibility tracking, prompt billing after client encounters, and special attention to claims denial management. We would feel privileged to serve your ABA agency! MHB Consultants is a private agency whose mission is to provide treatment, training, education, and consultation using applied behavior analysis and mental health services for a variety of individuals and groups including consumers, families, caregivers, students, interns, and public or private agencies. We strive to empower others to reach their full potential. Missing Piece Billing & Consulting Solutions is a unique company in that we partner with you on every level and provide support, knowledge, expertise and compassion. We are a company of approximately sixty employees, most of us with personal ties to the autism community by virtue of a loved one. You, your employees, your kiddos and their families become members of our family. New Way Day Services, Inc. is a local provider of ABA therapy services, RBT training, CPR training, and fingerprinting services. Nova Southeastern University (NSU) is the largest not-for-profit private university in Florida, with regional campuses in Fort Lauderdale-Davie (main), Fort Myers, Jacksonville, Miami, Miramar, Orlando, Palm Beach, Tampa, and San Juan, Puerto Rico, and with programs online. NSU offers numerous undergraduate, master’s, and doctoral programs related to autism and applied behavior analysis. NSU also offers services to individuals with autism including a preschool and a college program. Learn more at www.nova.edu/humandevelopment. The Ohio Center for Autism and Low Incidence’s Autism Certification Center presents ASD Strategies in Action, an online video-based learning solution that provides educators, families, and service provider’s information and instruction in evidence-based practices, demonstrated with real-life examples, so that they can effectively care for, support, educate, employ, or work with individuals on the autism spectrum. Operant Systems provides a simple yet powerful mobile and web data collection solution that run across multiple hardware platforms and is used by therapists, teachers, paraprofessionals, and guardians. We interface with practice management and billing companies. Operant Systems provides skills acquisition and behavior management programs based on common assessment tools (e.g. VBMAPP). The data collection solution records both in a one-on-one and group settings. Patent 8,18.2,267. Pathfinder Health Innovations’ (PHI) software supports ABA therapy implementation. Our cloud-based solutions are used by clinic and practice owners, BCBAs, therapist, and educators to help make their practices more efficient and lucrative. PHIs tools provide clinical and practice management solutions, including insurance submission and tracking, billing and invoice management, customized client assessments, progress reporting, and graphing and tracking of your clinic’s work with people on the spectrum. VirtualClinicPro and PortiaPro is a data collection and learning management software portfolio for behavior analysts, clinics, and school districts. Designed by behavior analysts, session data is captured on a mobile device (iPod, iPad, Android tablet). VirtualClinicPro is a turnkey solution: You can completely customize it around existing practices or something in between. The product provides fully customizable forms, programming, and curriculum—complete with full teaching procedures, individual and group sessions, team meetings, and more! Record prompt levels, task analysis, ABC data, activities, attendees, and so on. It can manage various permission access levels and allows integration with your Box.com account for HIPAA compliant document storage and sharing. Our Restful API can talk to your third-party insurance billing provider. Positive Behavior Support Corporation (PBS Corp.) is the premier provider in delivering in-home ABA services. Our staff works in dynamic family environments to develop behavior programs in real world settings that focus on improving quality of life. PBS Corp. provides a great team of leaders, peers, and direct support staff, along with many opportunities for professional growth, as our employees are encouraged and supported in achieving their career goals. Quality Behavior Solutions, Inc. (QBS)—a leading national behavioral training company—offers Safety-Care™ Behavioral Safety Training. Much more than the typical "crisis prevention course," Safety-Care is founded upon the principles and procedures of applied behavior analysis and positive behavioral interventions and supports. QBS trains staff in evidence-based practices toward the prevention, minimization, and management of behavioral challenges. QBS offers a variety of other behaviorally based training and consulting. Relias software and services empower clients to achieve individual and organizational improvements that deliver better patient, resident, and client outcomes, and better financial results. Currently, Relias offers products in three categories: analytics, assessments, and learning. Learn more about Relias at www.reliaslearning.com. The Shape of Behavior is a center-based ABA therapy clinic for individuals with autism and other developmental disabilities. The Shape of Behavior is committed to behavior analytic evidence-based treatment, training, and research. At Simmons College, our behavior analysis programs prepare students for leadership roles in the implementation, evaluation, and administration of applied behavior analysis principles and methods. Our innovative curriculum emphasizes contemporary research and the fusion of behavior analysis with other scientific fields. We offer on-campus MS, Ed.S., and Ph.D. degree programs, as well as an online MS degree. SKILLS Global provides a comprehensive solution to create and implement customized treatment plans for individuals with autism spectrum disorder. Skills® for Autism includes assessment, curriculum, progress tracking, behavioral intervention plans and more, and has been scientifically validated by 10 published research studies. The Skills® mission is to help families affected by autism by providing affordable global access to the highest-quality ABA-based intervention in the world. Therapy and Beyond provides intensive, 1:1 ABA and speech therapy for individuals with autism and other developmental disabilities both in-home and in-clinic. Our individualized programs encourage family involvement and are designed on the principles of applied behavior analysis and Skinner's analysis of verbal behavior to focus on major areas of development including behavior, language, social, academic, and self-help. Thread Learning is an innovative data collection, analysis, and coordinated care platform for educators, behavior analysts, and administrators. Thread saves time and money, while allowing educators to involve parents and drastically improve education for students! Thread Learning is powerfully built for the classroom setting, but simple to use for instructors of all skill levels. Try our free (or premium) app today! The mission of the University of Southern California Master of Science in Applied Behavior Analysis Program is to train students to become scientist-practitioners who are leaders in providing treatment that improves the quality of life for individuals with autism and other populations benefiting from behavioral services. The program is approved by the BACB™ and is based on classic behavioral knowledge, as well as cutting edge research. The Office of Applied Behavior Analysis at the University of West Florida offers a BACB verified course sequence that prepares students for BCBA or BLABA certification. We offer a 100% online master’s degree in exceptional student education with specialization in ABA that includes all BCBA coursework. We offer mobile-friendly CEUs in collaboration with the Cambridge Center for Behavioral Studies. Visit us online at www.uwf.edu/aba. 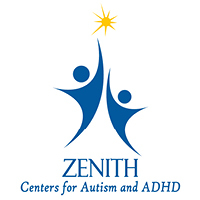 Zenith Centers for autism and ADHD is a multidisciplinary group specializing in diagnosing, and treating people with ASD, ADHD, Down syndrome, and more. Our team of professional BCBAs, BCaBAs, psychologists, occupational therapists, physiotherapists, speech therapists, and MDs offer services in south Florida. We are currently hiring new BCBAs and clinical directors and offer highly competitive salary, full benefits, and moving assistance. Our BACA students get free supervision.